WFA is proud to have produced over 90% of the players at Wilmslow Town since 2009. Wilmslow Town and WFA have uncovered some outstanding prospects who have trialled at such clubs as Manchester United, Manchester City, Liverpool, Everton, Blackburn Rovers, Burnley, Wolves, Crewe, Macclesfield, Stockport County, Arsenal and even Bayer Laverkusen in Germany! 5 of our prodigies have also represented their country at International level with Iran, Scotland, England and the Republic of Ireland. Wilmslow Town FC, working in conjunction with Wilmslow Football Academy, is being established as the premier junior football club in the Wilmslow area. The Town runs teams from u7’s to veterans. The club’s junior sides play in the Timperley& District Junior Football League. Our partnership with the club means that they can tap into the talent being produced at WFA in order to produce teams at junior level from the age of under 7’s upwards. In return, WFA coordinates all the junior teams at the club, providing an outlet for the young players to establish themselves in a junior football team. The clubs committee is extremely dedicated to providing the best footballing experience for players, parents and the teams managers. WFA’s Erik Garner is the Chairman. David Beech is the Child Welfare Officer. John Faruq and John Nugent are the clubs League Secretaries. They are currently looking for more help in running the club so if you think you would like to help in any way then please contact Erik on 07792 791382. The objectives for Wilmslow Town are clear. The club should be attracting local players from grass roots football and bringing them through the junior ranks to U18 level. Wilmslow Town, in partnership with WFA, reaches out to children via the Saturday morning soccer school at Ashdene Primary School. 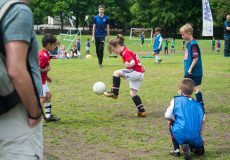 Hundreds of children are coached at the after school soccer clubs in the area as well as the structured school holiday soccer camps that are held every half term around Wilmslow. The partnership is still producing excellent results. Wilmslow Town’s junior teams are a formidable force in the Timperley and District Junior Leagues. 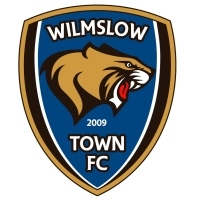 Visit the Wilmslow Town FC website here to find out more.